The Best Backpacking blogs from thousands of top Backpacking blogs in our index using search and social metrics. Data will be refreshed once a week. Also check out Top Backpacking Youtube Channels list for Top videos on Backpacking. 2.57 Hiking Spree - Quench your Hiking Thirst! Backpacking newsletter is a comprehensive summary of the day's most important blog posts and news articles from the best Backpacking websites on the web, and delivered to your email inbox each morning. To subscribe, simply provide us with your email address. Austin, TX About Blog A travel blog with backpacking advice for independent budget travelers. The blog features tips for planning budget trips, with a special focus on “around the world” travel, plus inspired destination articles, and large photos added daily. Learn to backpack around the world. Facebook fans 44,415. Twitter followers 27,640. Toronto, Ontario About Blog That Backpacker is a travel blog offering travel tips and inspiration. Follow seasoned backpacker Audrey as she takes you with her on all of her adventures around the world. She also happens to be married to Nomadic Samuel so you can check out both of their Youtube videos from her site. Facebook fans 169,647. Twitter followers 16,944. About Blog Travel the world with me! One Destination per Video, a new video every thursday: scenic landscapes, action activities, backpacking adventures, foreign cultures and inspiring people. I'm Backpacker Steve - the Host, Producer and Cameraman of my own Travel Video Show and show you the places like I discover them (plus I give some useful information about the places!). Facebook fans 13,210. Twitter followers n/a. San Francisco, CA About Blog A subreddit for world traveling Backpackers. Often confused with the other type of (wilderness) backpacker in the US, this subreddit is primarily for the travelers. Facebook fans 1,147,119. Twitter followers 507,642. New England About Blog Philip Werner is the author of Sectionhiker.com. He is an outdoor writer, guide and educator. His mission is to promote lightweight hiking, backpacking, and mountaineering so that people of all ages can hike safely, comfortably and mindfully. Facebook fans 17,226. Twitter followers 8,523. California About Blog Hiking Lady is an online publication for women who love the outdoors, and choose to explore it by hiking, backpacking, and camping. Additionally, the blog is an up-to-date resource with articles of interest, events, environmental issues, book and movie reviews, organizations to join, and deals on hiking gear and apparel. Facebook fans 7,220. Twitter followers 20,055. About Blog The Trek is all things long-distance backpacking. Appalachian Trail, Continental Divide Trail, Pacific Crest Trail, and everything in between. They are dedicated to serving the thru-hiking and long distance backpacking community. Facebook fans 5,087. Twitter followers 753. Facebook fans 22,359. Twitter followers 5,223. Australia About Blog A travel blogging website with heaps of reviews, advice and banter from around the world - covering everything from how to plan a gap year to guest posts from our network of backpackers. It is an award winning travel blog featuring reviews, advice, stories and budgeting tips from around the world. Facebook fans 16,422. Twitter followers 7,887. About Blog Adventure In You is an online adventure website focused on providing adventure reviews, along with travel advice and inspiration. We’re Tom and Anna, founders of Adventure in You. We are two backpackers who have an affinity for anything and everything adventurous. Facebook fans 31,261. Twitter followers 39,097. India About Blog Lost With Purpose is a travel blog of an adventure couple backpacking off the beaten track. Deep storytelling, epic photos, and all the useful information a backpacker could need. Facebook fans 7,485. Twitter followers 3,403. South East Asia About Blog South East Asia Backpacker Magazine is the first and only magazine for independent travellers in South East Asia. South East Asia Backpacker has backpacker stories, tips, events & travel tales. This is the essential magazine for all travellers to South East Asia. Facebook fans 67,391. Twitter followers 7,371. The Philippines About Blog The Pinay Solo Backpacker is a travel blog by Gael Hilotin. She writes about budget travel and her travel stories. She aims to inspire her readers to explore the Philippines and world as well as empower Filipinas through travel. Facebook fans 100,403. Twitter followers 5,353. About Blog A travel blog about my adventures (and misadventures) through 70 countries. Backpacking solo through Iran, hitchhiking in the Stans and living in Norway. Facebook fans 33,281. Twitter followers 22,532. Paris & Kansas City About Blog The Savvy Backpacker is an online resource for student and budget travelers that are planning to backpack Europe. The site contains honest and unbiased tips about packing lists, Eurail passes, budget planning, guides to the the best party cities and much more. Facebook fans 10,802. Twitter followers 14,112. San Francisco, CA About Blog A subreddit dedicated to backpacking in the wild places on earth - where people are few, cell signal is nil, and Mother Nature still reigns. Backpacking defined as: Multi-day trips into the wild, unpopulated, areas of the world. Colombia About Blog Tales of a Backpacker is filled with destination guides for foodies & travelers on a budget. Backpacking in South America & Beyond. Facebook fans 1,367. Twitter followers 18,405. About Blog Bemused Backpacker is the ultimate resource for all backpackers and independent world travellers alike, offering travel advice, education, planning and inspiration for anyone dreaming of their first gap year or planning their next trip. Facebook fans 2,935. Twitter followers 15,306. Facebook fans 3,583. Twitter followers 13,472. United States About Blog My primary interest is all things backpacking, with an emphasis on great views, unique terrain and challenging mileage. Little did I know, backpacking and video production would become an obsession, and along with it, a group of supportive subscribers would encourage me to continue the journey. Facebook fans 3,553. Twitter followers 847. Worldwide About Blog We bring you the best news in cheap travel and backpacking tips, top city and destination guides and advice on the best things to see and do - anywhere! Facebook fans 1,670,543. Twitter followers 54,542. Facebook fans 37,968. Twitter followers 1,168. About Blog I’m Will Hatton, a professional adventurer and online entrepreneur. The Broke Backpacker is a leading authority on real adventures, extreme budget travel and how to become a digital nomad. The goal of The Broke Backpacker is to help show budding adventurers how to ditch their desks, hit the road and discover the freedom of owning your own online business. Facebook fans 36,185. Twitter followers 91,662. About Blog Derek Earl Baron is a vagabonding nomad backpacker. He love budget travel, backpacking, blogging, and everything in between. Facebook fans 39,111. Twitter followers 21,338. Mid-Atlantic About Blog Since 1999 your best source for honest & factual information on gear & technique for lightweight & ultralight backpacking & hiking Recent Posts on Lightweight and Ultralight Backpacking. Facebook fans 5,952. Twitter followers 256. Barcelona, Spain About Blog Backpacking blog with inspiring routes, budget travel tips and plenty more! Here you'll find backpacking tips, articles, routes, suggestions and lots of budget travel inspiration. Facebook fans 983. Twitter followers 3,279. Honolulu, HI About Blog The world travel adventures Jackson Groves, a full-time solo backpacker and digital nomad who is 25-years-old from Adelaide, Australia. Follow this blog for videos, galleries and guides to the best outdoor adventures by solo backpacking traveler Jackson Groves. Facebook fans 3,498. Twitter followers 5,376. About Blog Wild. provide guided hiking and backpacking trips to the most extraordinary wild places in the Western United States. Their tours range from high adventure backpacking trips to culturally rich inn-based hiking tours and everything in between. They've been mentioned in the New York Times, Men's Health, Backpacker Magazine and on the Discovery Channel. Facebook fans 7,474. Twitter followers n/a. About Blog Trail Recipes is a small team of avid hikers passionate about good food and Mother Nature. They share with the world simple, but still tasty recipe we have created in our own adventures on different trails. Follow this blog for a collection of hiking recipes and backpacking food ideas. Facebook fans 3,419. Twitter followers 1,271. About Blog The Hiking Life is a compilation of tips, tales & trip reports from the backcountry. It's author, Cam Honan, has hiked more than 57,000 miles in some 56 countries, and has been described by Backpacker magazine as "the most travelled hiker on earth." The Hiking Life is a compilation of tips and advice on trip planning, lightweight ET.backpacking techniques and improving your wilderness skill set. Facebook fans 27,809. Twitter followers 784. Seattle WA About Blog Seattle Backpackers Magazine is your online source for original and unique backpacking, hiking, climbing, mountaineering and camping information. They publish articles daily to keep outdoor enthusiasts up-to-date with the latest in gear reviews, trip reports, camping recipes and more. Seattle is home to one of the most active and noted backpacking communities in the world. Facebook fans 21,012. Twitter followers 49,506. About Blog Out of Your Comfort Zone's main goal is to give advice about how to backpack economically and effectively which, for many, can be considered an art. Facebook fans 731. Twitter followers 370. About Blog I am a graduate teacher, language student, and world traveller. Insofar as my online antics are concerned, I am merely an amateur travel blogger. Backpacking (and eating) my way around the world. San Francisco, CA About Blog A public forum to provide discussion on the more advanced or technical aspects of backpacking for the experienced outdoorsman. About Blog A travel blog of Tutubi, an explorer, history/culture buff, living in the make believe world of technology when he'd rather be at a place close to nature. Facebook fans 10,016. Twitter followers n/a. Rotterdam | The Netherlands About Blog I'm Manouk, adventurer and founder of this travel blog 'Bunch of Backpackers' (BoB). With my blog I inspire others to make most out of their travels! I just got back from my magical solo round-the-world trip 'BoB's Epic Adventure'. Facebook fans 3,634. Twitter followers 5,104. About Blog I'm Robbert, the founder of Backpackblog.nl . My hobbies are especially backpacking and sports. Follow this blog for General Inspiration, Specific Tips, Costs, Preparations, Routes and Backpacking Articles in Asia and Australia. Facebook fans 2,869. Twitter followers n/a. Berlin About Blog Happybackpacker is a backpacking travel blog for world travel backpackers. Anja shares her travel reports and tips which help the world traveler travel planning. Facebook fans 8,094. Twitter followers 7,517. Barcelona, Catalonia About Blog The Travelling Tom is dedicated to helping travellers discover the best places in the world to visit. We also show people how they can travel and work! Facebook fans 2,174. Twitter followers 3,462. About Blog My name is Stephen Schreck. I’m a world traveler, vagabond, and mistake prone backpacker. A Backpacker's Tale is a travel blog offering tips and tricks to help you travel the world by providing cutting-edge tips to help you plan your trip, and discover new and exciting places around the world. Facebook fans 9,677. Twitter followers 9,731. New Zealand About Blog A backpacking twenty something sharing her best tips, destination guides and personal stories so you have the can have the best adventure exploring the world. Facebook fans 350. Twitter followers 112. Portland, OR About Blog I Heart Pacific Northwest is designed and written by Lisa Holmes, a graphic designer living in Portland, Oregon. When I’m not designing websites or print materials at my company, Yulan Studio, I like to spend time exploring the surrounding area. This website contains a trip report from every hike I’ve done since moving to Oregon. Facebook fans 1,320. Twitter followers 22. Manila, PHILIPPINES About Blog Bounded by our passion for adventure, we embarked on this work in progress journey across seas, sites, tastes and sounds all over the country and beyond documented in this blog space. Facebook fans 725. Twitter followers 186. Grand Junction, CO About Blog Exploring the secrets of the Colorado Plateau and the Rocky Mountains with my camera. Specializing in Ancient Ruins and Rock Art. Facebook fans 4,097. Twitter followers 471. Seattle, WA About Blog My Mountain Therapy is a collection of photography, blog posts and outdoor related product reviews by Holly Johnson. Facebook fans 126. Twitter followers 490. London About Blog I'm Kat, the writer behind this blog. In September 2015 I quit my job to go backpacking around Australia for a year on a Working Holiday Visa. My love for travel comes from learning about new destinations by immersing myself in their cultural and natural beauty. Facebook fans 416. Twitter followers 3,339. About Blog Wavesnbackpack is all about bundling backpack & surf stories of people who want to share impressions. After we came back from backpacking in Sri Lanka we decided to share our great moments. Therefore we set up the blog wavesnbackpack. Here we do not only share our own experiences but also bundle backpack & surf stories of people all over the world who want to share impressions. Facebook fans 708. Twitter followers n/a. About Blog The Backpackers Travel Magazine is the independent backpacking travel guide for backpacker hostels, jobs, tours, working holidays, volunteering, outdoors, gear, camping, hiking, yoga and adventure around the world. . A backpacker magazine for digital nomads, solo female travel and travel writers in New Zealand, Chile, Thailand, South America and Asia. The voice of independent travel. Facebook fans 828. Twitter followers 685. About Blog I set up this blog as a hobby, to showcase my trips, store my travel stories and share my travel tips/ tricks and budget travel guides to my friends and those who love travel with few bucks in pocket. About Blog This blog is all about wilderness backpacking, camping, nature, the outdoors, etc. Alberta, Canada About Blog Leave nothing but footprints, take nothing but photos ... stop nothing but time. Facebook fans 427. Twitter followers 360. Chicago, IL About Blog UnearthedWorld is an online travel blog, resource and library of information. We are a husband and wife team working together to enable anyone to go out and discover what this world has to offer, away from the crowds, back to the roots and off the traditional trail. Facebook fans 44. Twitter followers 267. Barcelona, Spain About Blog Europe Backpacker Magazine is part of the global network, Backpacker International. Follow this blog as they backpack around Europe, sharing heaps of travel inspiration, great places to visit and tips along the way. Facebook fans 2,733. Twitter followers 222. Wyandotte, MI About Blog Making travel more accessible to everyone, regardless of income, job, lifestyle, or anything else. Facebook fans 1,313. Twitter followers 100. About Blog Backpacking Series is a space dedicated to experiences and opinions of travellers. Discover places to explore, read interesting travel anecdotes, and find the inspiration to get going. Abhijeet Deshpande is an accidental nomad and a writer. His book, titled Backpacking North East India: A Curious Journey, will be released soon. Facebook fans 10,346. Twitter followers 7. About Blog Little Wanderlust Stories is going to tell you – based on my experiences and opinions – about my travels around the world. I’m going to give you the full story, the good the bad and the ugly. Off the beaten track, adventure, slow and Solo Travel is what you will find here. I’m all about the budget. Facebook fans 4,056. Twitter followers 840. 57. Hiking Spree - Quench your Hiking Thirst! About Blog A hiking, backpacking and outdoors website containing guides, trails recommendation, gear advice and hikers' columns! Come and start your hiking spree! About Blog The Outdoor Gear Review has been set up for those who love nature, hiking, backpacking and adventure. Many tune into our channel because they wish to live vicariously through our videos and thats completely understandable. Facebook fans 13,118. Twitter followers 1,141. Romania About Blog I'm Catalin Stanciulescu. I am 30 years old and I decided to take my world in my head. After a two-month trip to Peru, I went back to Bucharest and decided: I want to go with a backpack, to visit the world for at least a year. Facebook fans 14,168. Twitter followers n/a. London About Blog Ever wanted to go backpacking round the world? Check out Karl Watson’s Travel Documentaries to be entertained & inspired to begin your own adventure! Escape with Karl on his adventures and explore the world with him through his films. Experience the highs and the lows of travelling and see what it’s like when you pack your bags and head off on an epic journey! Facebook fans 7,134. Twitter followers 1,498. England, United Kingdom About Blog Christianne Risman is 22 years old, making videos, exploring the world, offering travel tips, all whilst having as much fun as possible. Join her for adventure, backpacking tips and round the world weirdness. Facebook fans 2,449. Twitter followers 1,697. Indonesia About Blog I'm Ndup, 22 years old brondong who work there can not diem at home. On this channel, I invite you to see what you have never seen. With the eyes of a backpacker, I will love you guys behind the trip traveling with budget improvised, even the budget is not there at all. Facebook fans 377. Twitter followers 361. Princeton Junction, NJ About Blog I'm Robbie Frank: I'm a film maker, and world traveler who has been to 4 continents and counting. I've been told I'm a goofball with the gift of gab, and usually the life of the party. I want my channel be a portal to the world for others who may not have the time or money to go. I just got back from Asia, and there is a lot of content on the way. Facebook fans 115. Twitter followers 199. About Blog Backpacking TV is the premier source for backpacking instruction, gear reviews, action segments, and much more. Facebook fans 285. Twitter followers 20. About Blog Backpacking, camping, hiking, and all things related. Thru-hiking the Appalachian Trail (or attempting to, rather) in Spring 2018. I love to be outdoors, and I also like the fitness that hiking and backpacking provides ... I generally favor "lightweight" backpacking, meaning that my focus is more on mileage than being comfortable in camp. I frequently backpack in the Smoky Mountains. Germany About Blog I'm Simon. I'm 25 from Stuttgart. My journey started at the end of May 2015 and will last about 1-2 years. My first goal is New Zealand here I have a Work and Travel visa and will stay for about 6 months, the rest of my route then looks inetwa. Facebook fans 9,891. Twitter followers 206. Colorado About Blog Backpacking and hiking through life together as a team. Facebook fans 185. Twitter followers 58. About Blog The Backpacking Technology blog is created and updated by Bob Shaver. He started backpacking in 1967, when he was 17 years old. He has been in Boise for 20 years. In Boise he thought a backpacking class at Boise State U for 12 years, and a class in winter mountaineering and camping for 12 years also. About Blog Average Hiker is a blog on Hiking and Backpacking. Mountain View, CA About Blog Comprehensive up-to-date coverage for backpacking, aggregated from news sources all over the world by Google News. Facebook fans n/a. Twitter followers 213,653. About Blog In 2008, a 23-year old English backpacker called Nikki travelled from the UK to Kathmandu, then onward to Thailand, Laos, Vietnam, Cambodia and the rest of South East Asia. She fell in love with the spontaneity of backpacking life and decided there and then that she never wanted to go home. South America Backpacker is about Backpacker stories, tips, events & travel tales about South America. Facebook fans 14,993. Twitter followers 1,089. London, UK About Blog Heels in my Backpack is the go-to blog for girly backpackers looking for advice on fashion, beauty and everything travelling. Heels In My Backpack is your go to place for the backpacking basics. Facebook fans 1,916. Twitter followers 7,418. Copenhagen, Denmark About Blog A blog about Travel with a hostel/backpacking and solo travel emphasis. Facebook fans 2,039. Twitter followers 6,538. London About Blog Backpacks and Bunkbeds is an independent travel blog with a focus on backpacking, hostels, volunteering, roadtrips and weekend breaks. Neil Barnes is a London based budget travel blogger, trying to help fellow backpackers and travellers with articles covering costs, maps, directions, money saving tips. Facebook fans 1,846. Twitter followers 14,423. About Blog Nomad Revelations is a famous travel blog by Joao Leitao, with ideas & exotic narratives to inspire independent travelers & audacious backpackers. Facebook fans 18,315. Twitter followers 37,226. Boise, Idaho About Blog Michael Lanza is an author and the former Northwest Editor of Backpacker Magazine. At The Big Outside, he shares stories and images from his hiking, backpacking, skiing, and paddling adventures, many of them with his family, as well as gear reviews and tips on outdoor skills. Facebook fans 11,244. Twitter followers 5,826. San Francisco, CA About Blog Backpackers.com provides in-depth outdoor gear reviews, recommendations, and guides for backpacking gear, camping gear, and hiking gear. Follow this blog for gear recommendations and outdoor guides by backpackers, for backpackers. Facebook fans 795. Twitter followers 773. About - Heels in my Backpack is the go-to blog for girly backpackers looking for advice on fashion, beauty and everything travelling. Heels In My Backpack is your go to place for the backpacking basics. About - Hi I'm Rob Pollard and this blog details my onward journey from couch potato to backpacker. Hopefully it will spur more people on to take up this rewarding activity. About - Backpacks and Bunkbeds is an independent travel blog with a focus on backpacking, hostels, volunteering, road trips and weekend breaks. Neil Barnes is a London based budget travel blogger, trying to help fellow backpackers and travelers with articles covering costs, maps, directions, money saving tips. About - Backpackinglight.co.uk is a family run online retailer championing an array of UK designed and international lightweight equipment for the outdoors. 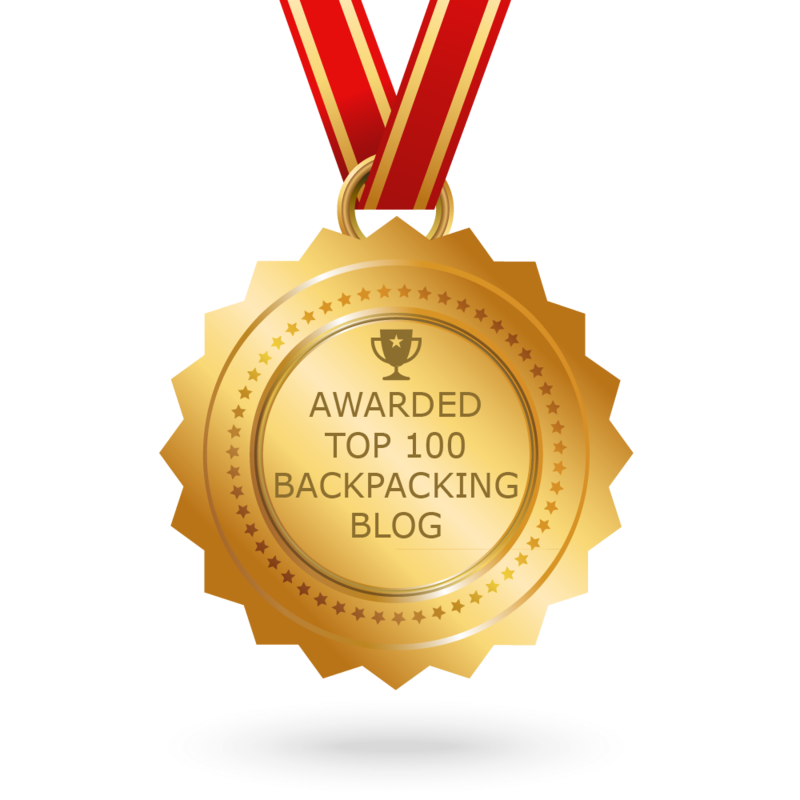 CONGRATULATIONS to every blogger that has made this Top Backpacking Blogs list! This is the most comprehensive list of best Backpacking blogs on the internet and I’m honoured to have you as part of this! I personally give you a high-five and want to thank you for your contribution to this world.